Our free service is called PopMoney, and once activated, you’ll be able to easily send money to anyone you owe who has an account at a U.S. financial institution. 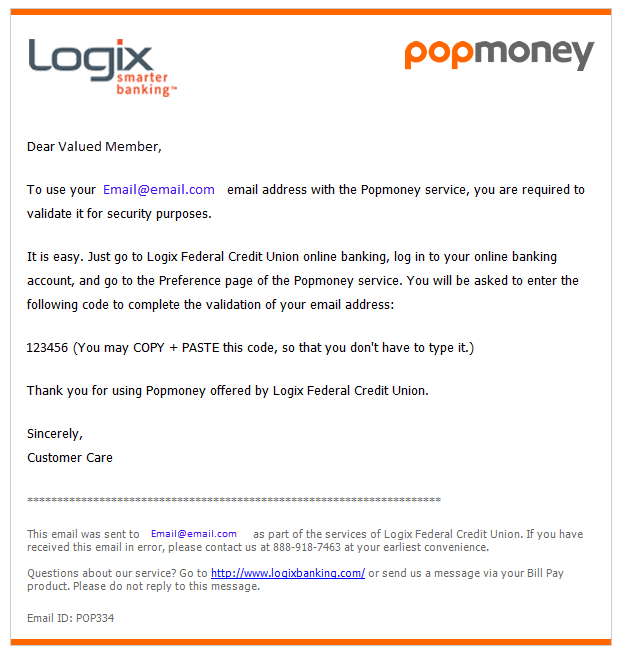 Check your email inbox for an activation email from PopMoney (example below). This email has an activation code that you'll need to complete the activation process. Head back over to PopMoney. Click "Overview," followed by "verify." Enter in the six-digit verification code from the activation email you received. Click "continue." That's it! 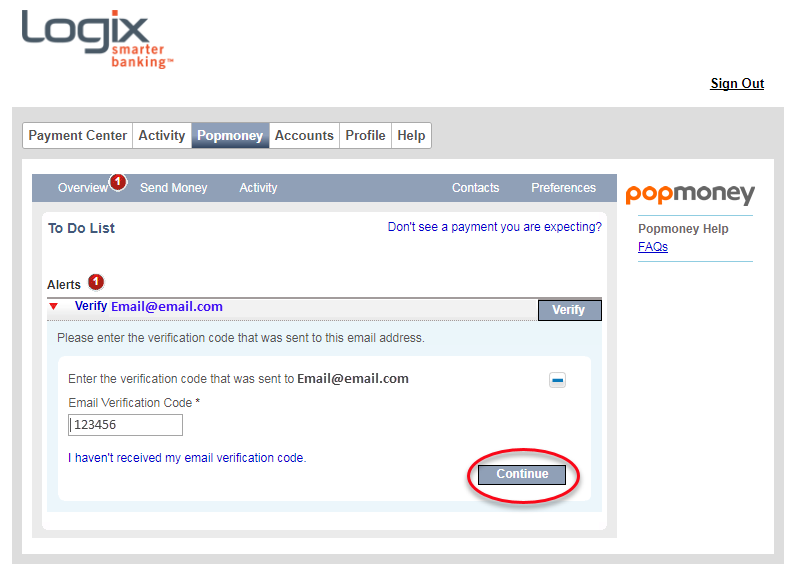 Your email address has been validated and PopMoney is now ready to use! Verify the info on the following screen. If all is good, click "Send Payment." 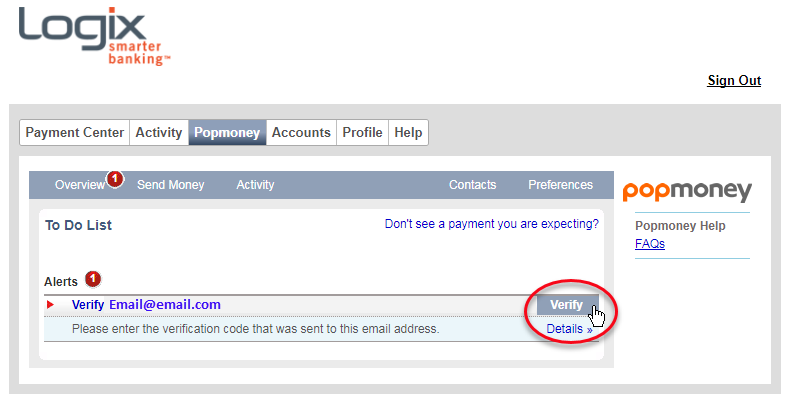 After sending, the recipient will receive an email or text (if one of those options were provided) with instructions on accepting the payment. 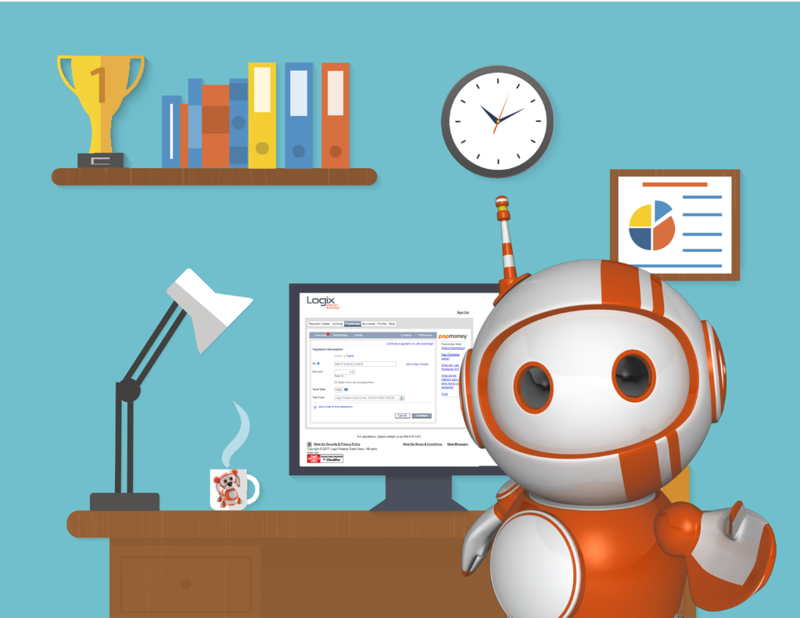 If the recipient's bank account information was entered instead, funds will automatically be deposited to their account. Depending on the delivery option selected, funds will reach the recipient between 1-3 days after they accept the payment. Go ahead - activate PopMoney today! Log in to online banking and click "BillPay" to get started. 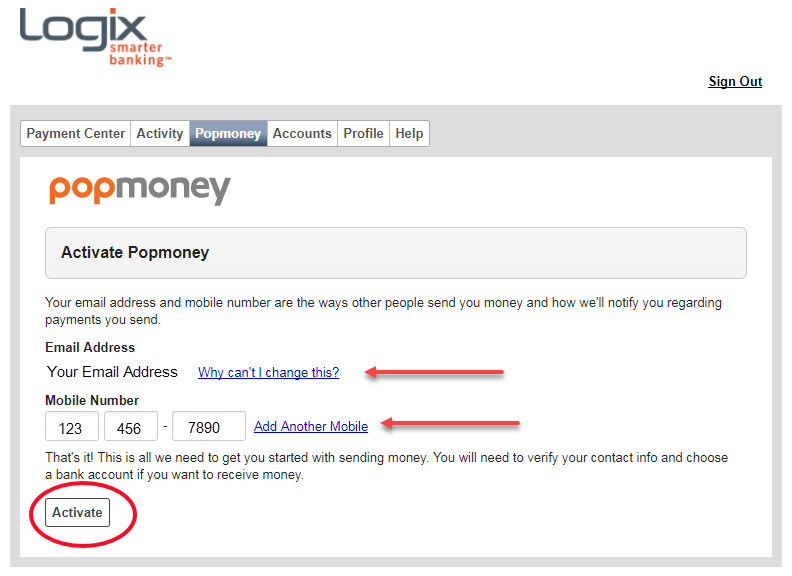 Should you have any questions regarding PopMoney, we're here to help. Feel free to use the comments section below or give us a call at 800-328-5328.